(Wolf) Sharp as razors literally. 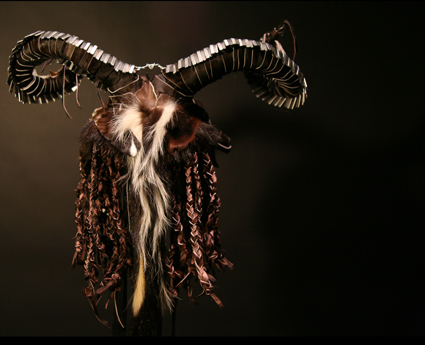 This headpiece contains hundreds of razor blades (not blunted). A dangerous and powerful piece. 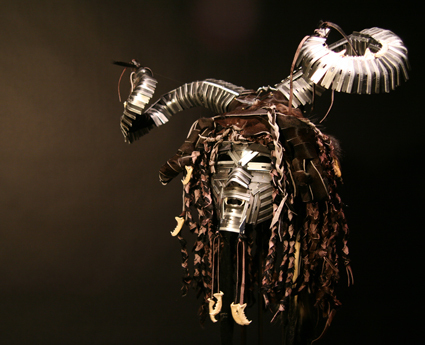 This warrior mask was made from fosshape, leather and razor blades.